My name is Mike Wassmer and I am a solopreneur with a passion for increasing the worldwide percentage of households whose homes produce as much or more energy than they consume on an annual basis. I believe that reaching this zero energy household goal on a large scale is achievable when households live in energy-efficient residential buildings with on-site renewable energy systems, closely monitor their energy production and consumption, and adjust their occupant behaviors as necessary. A viable strategy for modestly increasing the percentage of zero energy households is to design and build traditional “zero energy homes” that are designed to produce as much or more energy on an annual basis without requiring any significant behavioral adjustments by the occupants. Although these homes are affordable to just a small percentage of the population, they are valuable proofs of the zero energy household concept. All households, regardless of their economic circumstances, are capable of dramatically reducing their homes’ energy consumption by adjusting their behaviors and usage patterns. Making well-informed adjustments that yield the largest possible energy savings with the smallest possible decrease in quality of life requires education and effort. Although modest increases in the worldwide percentage of zero energy households can be achieved by either building to zero or living to zero, the only viable strategy for dramatically increasing the worldwide percentage of zero energy households is by aggressively and concurrently pursuing both strategies. Live to Zero offers services that help clients in the government and private sectors develop, implement, and evaluate projects that demonstrate the effectiveness of this multifaceted strategy. As a kid growing up in New Jersey, two of my favorite things to do were building LEGO projects and watching NJ Transit trains roll through my town. 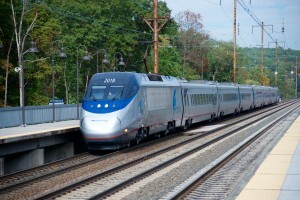 Years later, I chose mechanical engineering as my college major and worked as a Staff Engineer on the Amtrak Acela Express Project in the Northeast U.S. for my first job after college. 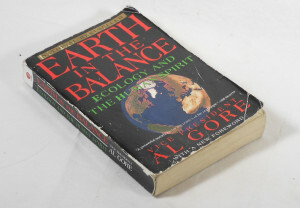 After I read Al Gore’s book Earth In The Balance during a transformative mountain biking experience in the beautiful American Southwest, I decided to adjust my career path by studying sustainable building design and building energy modeling in the University of Colorado at Boulder’s Building Systems Engineering master’s program. My ASHRAE-sponsored master’s thesis was titled A Component-Based Model for Residential Air Conditioner and Heat Pump Energy Calculations. During grad school, I was a member of the University of Colorado team that won the inaugural U.S. Department of Energy Solar Decathlon competition. One year later, I began a run of eight amazing years as the Solar Decathlon Competition Manager at the National Renewable Energy Laboratory. In 2011, I founded Live to Zero LLC and began my journey as a solopreneur. I have had the pleasure of working on several very rewarding projects so far and look forward to working on many exciting new projects in the future!